Women interested in undemanding travel often wonder if package holidays are the way to go. The answer, of course, is that it depends on what a woman wants out of her holiday. Package holidays are usually selected because of the ease of travel – flights, transfers, accommodation and often meals and drinks are sorted out right from the start. Many package holidays also include the options of day trips or short overnight trips so that travellers can see more of the local area. If you are considering a package holiday, be sure you understand exactly what is and is not included on the different options before you travel. Holidays can be relaxing or adventurous, social or solitary, manic or calm. There’s a package holiday out there to suit everyone, but selecting the best package for your interests, and budget, may require some sifting. Before heading to a travel agency, narrow down the two most important factors when booking a package holiday, destination and budget. Once you know these two items you can begin to compromise with other options including direct transportation, types of transfer, type or quality of accommodation, inclusion of half or full board, inclusion of excursions or activities and much more. 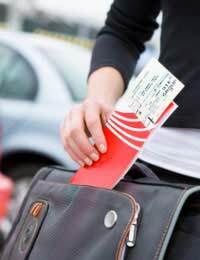 Remember, a general rule of thumb regarding package holidays is that the more you pay for your holiday, the less you may have to pay when you are there (since more of your stay is already covered), and the less you pay for a package holiday the more you may have to pay when you are there (since less of your holiday is covered). Shopping around with a variety of travel agencies and online travel sites will help you get a feel for a fair price for your package holiday. Once you’ve found a holiday package to suit your needs, begin researching your destination. Find out about local food, culture, customs and religion. Ask around to find out about your accommodation and the best options for day trips or other excursions. Look into the dress code of your accommodation or any general guidelines for women’s dress and behaviour in your destination. Decide if you need any types of vaccinations or other medical care before leaving home. Travel guides, websites and individuals recently returned from your destination are usually valuable sources of information for these questions and your travel agency may well have an information package for you as well. Many women let their guard down while on package holidays because most of the trip has already been organised for them. However, basic safety precautions should always be taken when you travel and package holidays are no exceptions. In fact, package holidays often mean that a variety of people are in contact with your bookings and baggage so this could mean more people have a chance to invade your privacy or jeopardise your safety. Whenever you travel, leave a copy of your itinerary with a relative or friend. Keep your cash, tickets and passport on your person at all times. Avoid writing your home address and telephone number on your luggage but rather list your accommodation or work information. Store all of your valuables in a hotel safe and always ring reception if someone shows up at your door to make a repair in your room. Package holidays can be notorious for alcohol intake, so always limit your own drinking and remove yourself for areas in which others seem out of control. If you have any problems of any kind, do not hesitate to talk to your package holiday rep or call the company’s emergency telephone number. Failing that, discuss your situation with other hotel staff, the local police or even your nearest consulate or embassy. Package holidays can be an easy way to travel. If you are considering a package holiday, be sure to make the best selection for your own interests, research your destination before leaving home and use your common sense to stay safe while abroad.